2. Add the beans and salt. 3. Cover with a lid and cook over medium heat till beans are little tender. 4. Add all the remaining ingredients and stir-fry for 3 minutes. 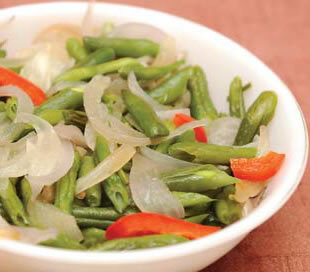 Feel free to comment or share your thoughts on this Beans and Onions Recipe from Awesome Cuisine.